KIEV, Ukraine -- Just months after the ex-Soviet nations agreed to extend Russia's Black Sea Fleet’s lease in Sevastopol for another 25 years once the current one expires in 2017, defense ministers of Russia and Ukraine signed another deal to regulate the fleet’s upcoming overhaul in Crimea. 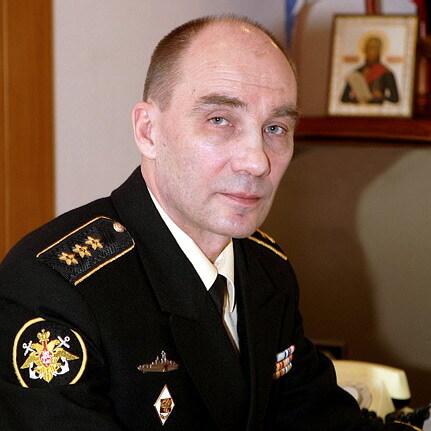 Russian Navy Commander Admiral Vladimir Vysotsky. "Under the deal, the Russian side is committed to annually inform the Ukrainian side about the exact number of its personnel, equipment and weapons of the Black Sea fleet based on Ukrainian territory," Ukraine's Defense Ministry said in a statement. The deal was signed during the bilateral talks immediately after Crimea hosted the 59th meeting of the council of defense ministers of Commonwealth of Independent States members. Describing the deal as remarkable and significant, Russia’s Anatoly Serdyukov said that the new document would allow the fleet to maintain their weapons and personnel at the levels stipulated in the 1997 Russian-Ukrainian accords on the Black Sea Fleet. The move is aimed at modernizing Ukraine’s Soviet-era’s armed forces fleet. Russia has also confirmed that the two nations would soon plan to boost cooperation on joint military exercises. Previously, Russian Navy Commander Admiral Vladimir Vysotsky had said that diesel-electric submarines as well as 15 new combat ships would be reinforced in the fleet by 2020.